The number of UK swine flu cases has reached 186 after a seriously ill Glaswegian man and an adult in the East Midlands were confirmed with the virus. The Scottish government confirmed the 37-year-old man, who is being treated in hospital for a respiratory infection, was Scotland's 14th case. He had been suspected of having the flu and has underlying health problems. The other new case of the H1N1 virus was a man from Nottinghamshire, the Health Protection Agency said. 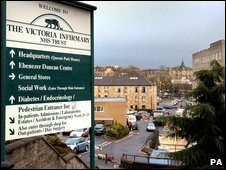 The Glaswegian man, who was admitted to the city's Victoria Infirmary on Thursday, has possible links to other cases. Five of the ten possible cases under investigation in are members of his family, the Scottish government said. The Health Secretary Nicola Sturgeon said: "It is not yet clear to what extent his infection with the H1N1 virus may have been a contributory factor to his condition or whether it is incidental. "Without at all wanting to diminish the gravity of this development for this particular family, the threat to the general population in Scotland remains low." England's new case was an adult from the East Midlands who recently returned from abroad. The HPA said a further 155 possible cases of swine flu remain under investigation. On Tuesday, Welford Primary School in Birmingham saw its confirmed cases jump by 44 to 50 - just five were adults. More people connected to the school are expected to be diagnosed with the virus, HPA officials said on Tuesday. The school, which has more than 400 pupils and 60 children in its nursery, notified the HPA after spotting a higher than usual number of pupil absences early last week. It confirmed its first case of swine flu on Friday, five more over the bank holiday weekend and 44 on Tuesday. All those confirmed with the virus have been responding well to treatment, the HPA says. 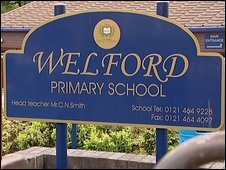 Welford, which is currently closed for half term, said a "deep clean" of its premises would take place during the holiday period. The Department of Health spokesman said the current cases in England and Wales had so far been mild, and the strategy of containing the spread with antiviral drugs appeared to have been effective. "But we must not be complacent - it is right to prepare for the possibility of a global pandemic," he said. "The UK's arrangements are continuing to ensure that we are well-placed to deal with this new infection." About 13,000 people around the world have been diagnosed with the virus.